UEFA's Financial Fair Play (FFP) Regulations came into force at the start of the 2011/12 football season and were implemented in a bid to prevent football clubs from spending outwith their means in the pursuit of successful campaigns. The fear was that to continue to allow clubs to spend more than what they earned would result in financial ruin for clubs and the game, in general. The idea behind FFP was that the rules would achieve long-term sustainability for football clubs and is a concept that is also supported by the European Commission. In order to qualify for UEFA competitions, clubs must prove that they do not have any outstanding bills owed to other clubs, players and tax authorities, throughout the season. Since 2013, football clubs are also required to ensure that they balance their spending with their revenues and are restricted from accumulating debt. This is known as the 'break-even rule'. To assess this, each season UEFA's Club Financial Control Body (CFCB) analyse's the last three years worth of club financial figures, for all clubs competing in UEFA fixtures. 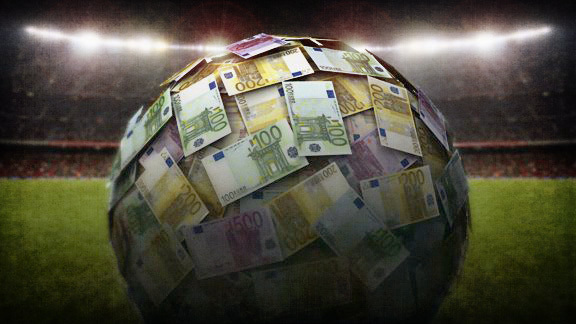 Under the rules, clubs are allowed to spend up to 5 million Euros more than what they earn per three years. This level can be exceeded in certain circumstances, to €30m, if it is entirely covered by a direct contribution from the club owner(s). The CFCB will determine whether a club has breached FFP rules and if that finding is a guilty one, there are a number of sanctions available at UEFA's disposal. Those include fines, witholding of prize money, player transfer bans and disqualification from European Competitions (the severest of penalties). The FFP rules have been subject to criticism since their implementation with critics claiming that it not only maintains the big club status quo (who generate the largest revenue and profits and can therefore spend more on player transfers) but that there are also loopholes that allow the larger clubs to artificially boost their income through questionable sponsorship deals (e.g. Manchester City and various deals arising from sister or subsidiary companies) and stadium naming rights. Another criticism was that FFP breaches EU regulations, in particular, free competition, free movement of capital, freedom to invest and free movement of workers and services. In 2013, football agent Daniel Striani and supporters clubs of Manchester City and Paris Saint-Germain (clubs which were both sanctioned under FFP rules) launched legal action against UEFA to challenge the validity of FFP rules citing that they breached the above EU regulations. The various claimants were represented by Bosman-lawyer (Jean-Louis Dupont) who took the case to the Brussels Court of First Instance, after the European Commission decided the case had no merit. The Brussels Court, thereafter, referred the case to the European Court of Justice (ECJ) for a ruling on whether UEFA's 'break-even' rule violated EU regulations. The ECJ threw the case out stating that it was "manifestly inadmissible" and that the case, as pursued by Striani and others, had no merits. UEFA welcomed that decision stating that it was a "sensible and logical outcome". In March 2016, Turkish side Galatasaray received a one-season ban from UEFA competitions following their breach of FFP regulations, in the event that they qualified over the next two seasons. The decision was taken after the Turkish club failed to comply with the terms of settlement agreements that it entered into with UEFA's CFCB in May 2014, under Article 15. 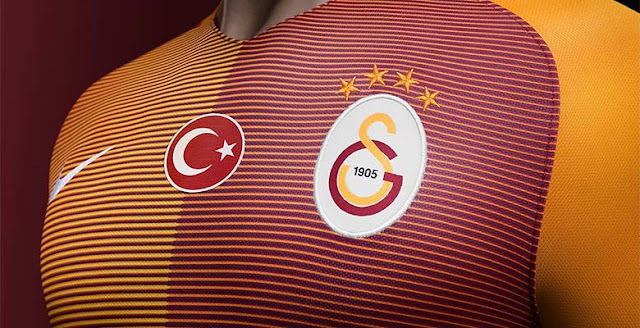 Further to that, Galatasaray were also ordered to limit the overall aggregate cost of the employee benefits expenses of all of its players in each of the next two reporting periods. The club appealed UEFA's decision to the CAS who dismissed the appeal in June 2016 and upheld UEFA's decision, confirming that the Turkish club would remain excluded from participating in the next UEFA club competition for which it would qualify in the next two seasons. Galatasaray had challenged the legality of the UEFA Club Licensing and Financial Fair Play Regulations but the CAS panel confirmed that such regulations had been properly applied by UEFA, in the present case. The full CAS decision has yet to be published. 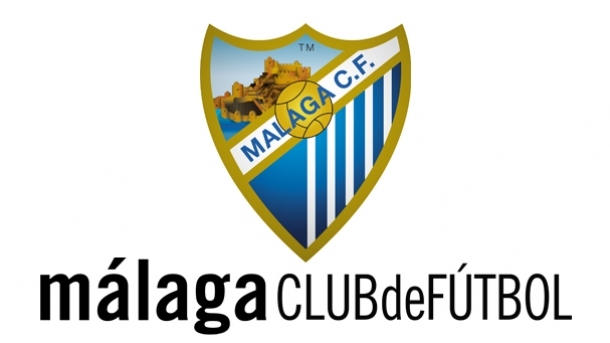 Malaga found themselves in hot water at the tail end of November 2012 when the UEFA CFCB found that the club had overdue bills of €8.45m owed to the Spanish tax authorities, as of September 2012. As such, the Spanish club was in breach of FFP Regulations. CFCB sanctioned Malaga with a €300,000 fine and banned the club for competing in two UEFA club competitions (later to be reduced to one), in the event that they qualify within the next four seasons (2013-2017). Malaga appealed UEFA's decision to the Court of Arbitration for Sport (CAS) on the basis that it had a valid agreement with the Spanish tax authorities to defer it's payments to them and as such, the payments were not overdue. Further, it was also argued that the club should not be sanctioned for any delay caused by the Spanish tax authorities in determining the request for deferral. The CAS considered the case and pointed out that the FFP regulations define overdue payables as payments not paid "according to the agreed terms." It also noted that FFP regulations required that any agreement extending deadlines for payment must be accepted in writing by the creditor (there was no such written agreement between Malaga and the relevant tax authority). Given that, the CAS held that as there was no agreement prior to 30 September 2012, the payments were overdue and Malaga was, thus, in violation of the FFP regulations. No proportionality arguments were put forward at the CAS hearing but the panel did not confirm that in the absence of any arguments for the club, the sanctions appeared to be reasonable. The full CAS decision can be found here. In 2012, UEFA banned Turkish club, Besiktas, from UEFA competitions for one year and fined them €200,000. Besiktas qualified for the 2011/12 UEFA Europa League and obtained a licence to participate in that club competition from the Turkish Football Federation (TFF). On 15 July 2011, the TFF submitted monitoring information to UEFA's CFCB based on the figures provided by Besiktas. That information revealed the existence of overdue payables of several million Euros in total which related to transfer activities, wages and social/tax charges. Those overdue payments had already mounted into the millions by 31 March 2011, when the UEFA licence was granted. On 19 April 2012, the UEFA Disciplinary Inspector concluded that Besiktas had violated the FFP Regulations and as such, UEFA imposed a fine of €600,000 and expulsion from two UEFA club competitions but with one year suspended. On 30 May 2012, the fine was reduced to €200,000. Besiktas filed an appeal with the Court of Arbitration for Sport (CAS) which upheld the sanctions imposed by UEFA. It held that UEFA had properly followed the FFP regulations and that Besiktas has committed numerous breaches of the regulations gaining a licence to compete in the 2011/12 Europa League, that it should not have received, and continued to breach the regulations during the monitoring process by continually labelling significant overdue payables as 'disputed', whilst not contesting those in any manner. As a result, the CAS panel considered that a competition ban and a fine were fair and proportionate sanctions. Bursaspor qualified for the 2011/12 UEFA Europa League and obtained a licence to participate in that club competition from the Turkish Football Federation. However, UEFA's CFCB determined in the Summer of 2011 that the Turkish club had overdue payables of approximately €300,000 relating to transfer activities dating back to 2007 (the breaches, thus, occurred during a transitional period between the old and new regulations). In 2012, UEFA concluded that Bursaspor had breached FFP regulations and referred the case to UEFA's Control and Disciplinary Body, which imposed a fine of €200,000 and an exclusion from one UEFA club competition, but suspended for a probationary period. On 30 May 2012, the UEFA appeals body cancelled the probationary period applicable to the exclusion of UEFA competitions but reduced the fine to €50,000, imposing a probationary period on the fine. Bursaspor filed an appeal against UEFA's decision at the CAS which was successful. The CAS confirmed that the club would be excluded from UEFA club competition for one year but that this would be suspended for a period of three years. The fine, however, was increased to €250,000 by the CAS (the approximate amount of what Bursaspor gained during the 2011/12 UEFA club competition). The CAS panel stated that in view of the specific circumstances of the Bursaspor case, and that the breach of FFP regulations occurred during a transitional period between old and new rules, it was of the view that the sanction imposed by UEFA was disproportionate to the offence. Given that, the sanctions would be modified to reflect same. As a result of the CAS decision, Bursaspor were able to compete in the 2012/13 Europa League competition. In 2013, UEFA upheld a one year European club competition ban, after the Romanian side failed to meet a deadline to pay off its debts, and imposed a fine of €100,000. The club chose not to appeal UEFA's decision to the CAS. Dinamo Moscow were excluded from UEFA competitions in 2015, following violation of FFP rules, after 2014 financial accounts revealed that the club had been spending more on player transfer and wages than their football-related revenue allowed. The club chose not to appeal the decision to the CAS. Will UEFA be turning it's FFP radar on a Scottish club next? Financial fair play rules have impacted a number of clubs across the world and there is no reason why we should presume that such regulations will not have an effect on any of our own clubs, here in Scotland. In Scotland, participants in European fixtures, over the last couple of seasons, have included the likes of Celtic, Hearts, Aberdeen, Hibernian, Inverness Caledonian Thistle and St Johnstone. Such clubs have recently posted operating profits of £0.5m (Celtic - 2016 Accounts), £0.2m (Hibernian - 2016 Accounts) £854,514 (St Johnstone - 2015 Accounts), £623,000 (Hearts - 2016 Accounts), £448,000 (Aberdeen - 2016 Accounts), and £254,240 (ICT - 2015 Accounts). There is every chance that Rangers could qualify for the Europa League qualifications, this season, given that they are currently sitting second place in the Scottish Premiership which, along with 3rd place, allows for the opportunity to qualify for UEFA's Europa League. However, Rangers are reported to have suffered losses in the region of £18.9 million since 2014, which significantly exceeds the €5m cushion allowed by UEFA. As described above, UEFA allows for an increase of that limit to €35m but only in circumstances where it is entirely covered by the club's owner(s). If and when Rangers begin qualifications for European competitions, UEFA, under FFP rules, will scrutinise the club's accounts. It is likely that if UEFA considers that FFP regulations have been breached that the club could face sanctions, as described above. 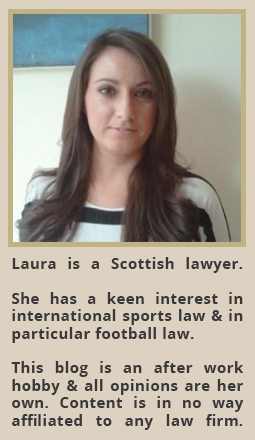 "On the question of proportionality, the Panel accepts the position of UEFA, as established by the CAS jurisprudence it cited - just because another sanction could be issued, it does not make the one issued disproportionate. 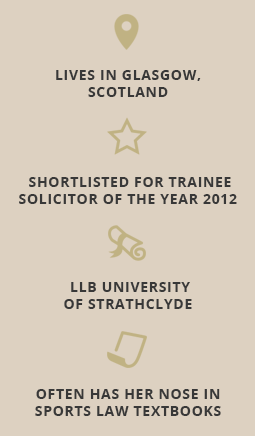 The Appellant would have to demonstrate that the Appealed Decision was "grossly disproportionate". The only club to have completely overturned UEFA's decision, at the CAS, in relation to competition bans was Bursaspor and that was because the breaches occurred during the transitional period between the old and new regulations. Any accounts that UEFA scrutinise in relation to Rangers, will be in the new era and therefore, there should be no transitional period to consider. However, that said, there have only been a small number of clubs that have had competition bans imposed on them and UEFA may choose (and possibly likely they will) to offer a settlement agreement, under Article 15, in a bid to allow the club to financially rehabilitate themselves and set out a 'roadmap' to reach break even, in the foreseeable future. This will allow the club to compete in competitions. If the settlement agreement is not complied with, the case will be referred to UEFA's adjudicatory chamber which is when severe sanctions, such as competition bans, are all the more likely. It is worthwhile noting that UEFA also encourages clubs who may not be in UEFA competitions, at the moment but aim to be in the future, to contact them to assess their financial situation and work together so that they will be able to meet FFP rules. It will be interesting to see what action UEFA takes if Rangers reach UEFA qualification stages, this season, and in the event that a settlement agreement is entered into, whether that can be met by the club, and what consequences the restrictions, imposed by such agreements, will have for Rangers on a competitive level (takes you back to the status quo argument), in upcoming seasons.